There’s a good chance you’ve never heard of the Vieux Carré cocktail. 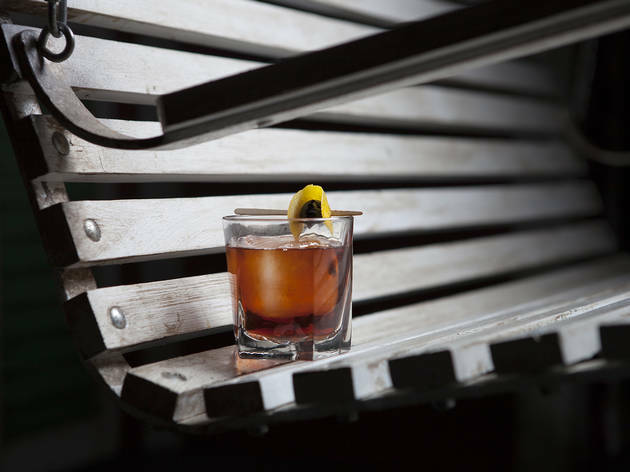 This dark horse of a New Orleans classic tends to get overshadowed by its older brother, the Sazerac—deemed the city’s official drink in 2008. But who doesn’t love an underdog? Vieux Carré (pronounced “view-ka-ray”) may sound a tad stuffy, but it’s just an OG name for the French Quarter. 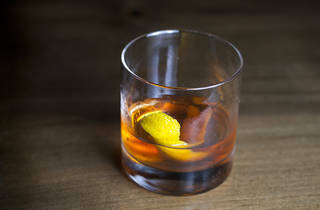 The intoxicating blend of high-proof rye, cognac and sweet vermouth, brightened up with bitters and a dash of Bénédictine, is a kissing cousin to the Manhattan—if said cousin lived in Louisiana and loved to have a good time. Fortunately, modern bartenders really dig the Vieux Carré, especially in Los Angeles (the other LA). That’s the beauty of a cult classic. Here you’ll find the best the City of Angels has to offer. 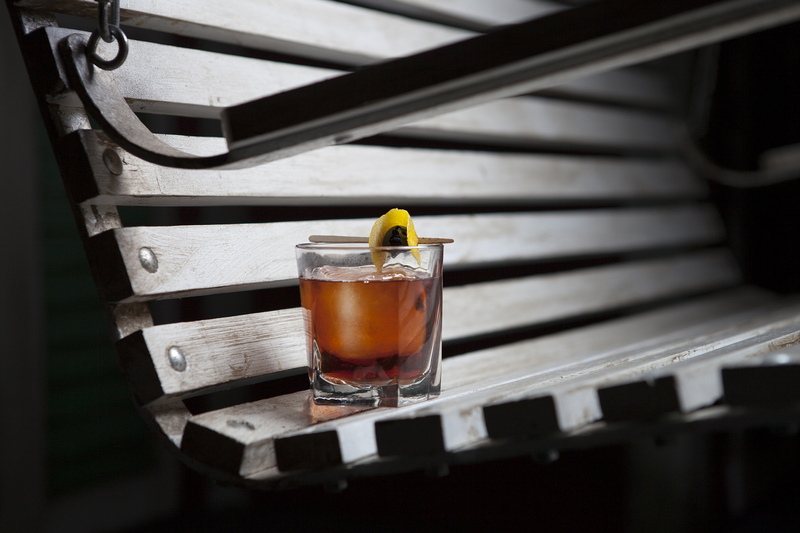 Steal away to the former storage room of the century-old Cole’s for an immaculately crafted Vieux Carré. At the Varnish, overlooked classics like this one are a beloved art. Watch as mustachioed mixologists anguish over the historically precise ingredients of a generations-old recipe—rye whiskey, Bénédictine, Angostura and Peychaud’s bitters, sweet vermouth and cognac. But not just any cognac; GM Max Seaman wouldn’t dare use any other brand than Pierre Ferrand’s 1840 Original Formula. 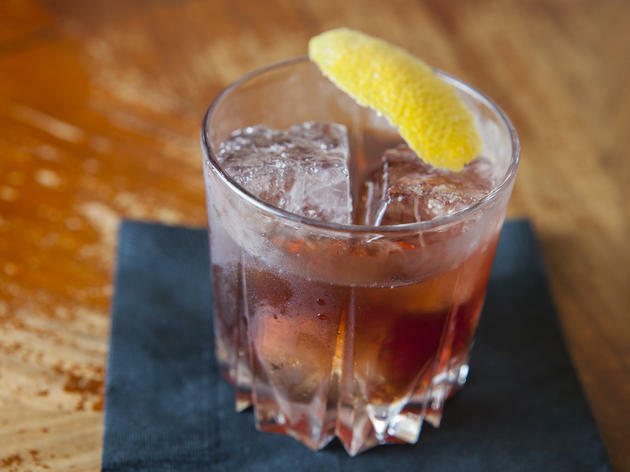 Served old-fashioned-style over a crystal-clear cube, this rendition is straight potent. At first sip, it’s like a rush of warm hooch; as the ice melts, complex flavors emerge. This is a drink to enjoy leisurely, so kick back and relax. Ordering a Vieux Carré here is definitely a unique experience, but only if you manage to get co-owner Rhino Williams, a native Welshman, to make it for you. The Lost Property recipe calls for Park Cognac, Alessio Vermouth di Torino Rosso, equal parts Angostura and Peychaud’s bitters, and two generous dashes of the herbal liqueur Bénédictine, which we learned on our visit is made by monks. “They can’t play with balls, so they play with herbs,” declares Williams in his comically thick Welsh accent. He stirs vigorously to bring down the temperature. The result is something soft and smooth. You can bet you’ll be sipping this drink slowly and with a giant grin on your face. Barrel-aged Vieux Carré at Melrose Umbrella Co.
Fair warning: Once you go barrel-aged, you can never go back. 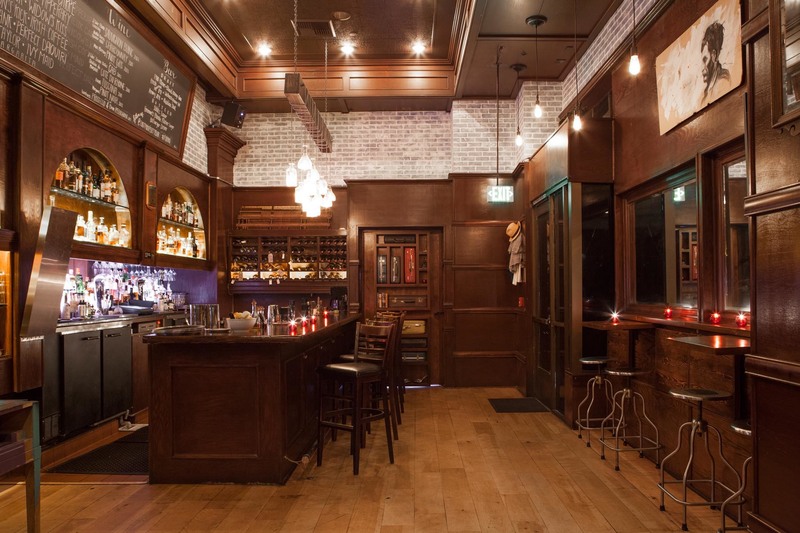 Every so often, patrons of this pre-Prohibition watering hole are rewarded with a limited edition barrel-aged Vieux Carré ($18, compared to the $13 original). Program director Dave Purcell takes the traditional recipe, but upgrades to brands like Rittenhouse 100 bottled in bond and reserve Park Cognac. The batch sits in an unused oak barrel for two whole months, rounding out some of those feisty flavors—peppery Rittenhouse rye, bright ginger Peychaud’s bitters and brazenly raisin vermouth, to name a few. Purcell describes the finished product as “harmony in a glass.” Take your time with the drink—when those flavors open up, you really have to fight the urge to chug. 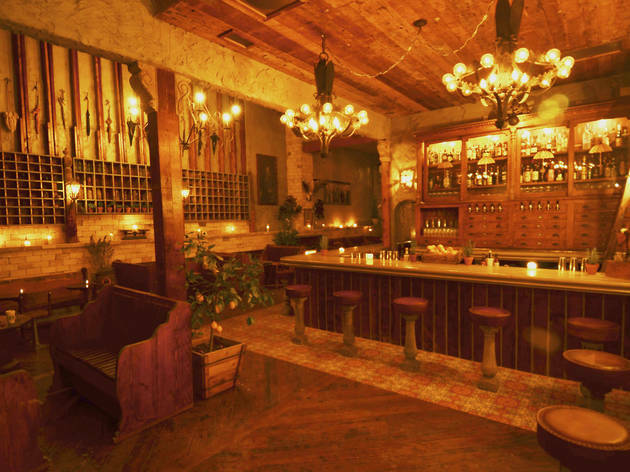 The motto at this dignified drinking den is spirit first. What that means is one helluva boozy Vieux Carré. The secret is a heavy-handed pour of 100-proof Rittenhouse rye meant to punch through the rest of the ingredients. If you’d prefer not to taste the rather domineering spirits in this drink, this rendition isn’t for you, though if you can just wait it out a bit, the cocktail becomes something entirely different as the minutes pass. “You have something that changes over time, really punchy ethanol at first and then the floral Bénédictine and Peychaud’s come out as the ice melts,” says bartender Timur Dmitriyev. We should also mention, this particular concoction comes with the bar’s signature ice, which GM Raul Yrastorza cuts with a chainsaw. “It's badass and fun,” Dmitriyev says. And we’d have to agree. 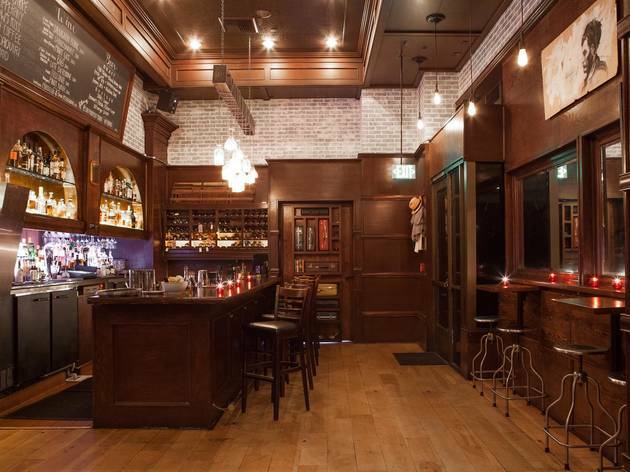 Sipping a Vieux Carré at the Big Easy-themed Sassafras in Hollywood is a transformative experience. Beverage director Karen Grill (Sotto, Bestia) happens to be incredibly informed on New Orleans cocktail history, and is a master at barrel-aging the classics. 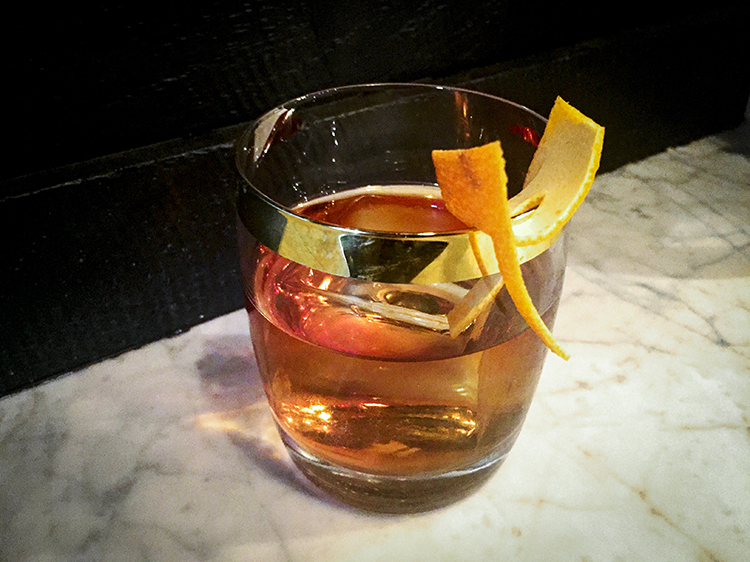 The most memorable of the seven menu selections is undeniably the Vieux Carré made with Sazerac Rye, Hardy VS Cognac, Carpano Antica sweet vermouth, and Peychaud’s and Angostura bitters. The aging process mellows the boozy edge and imparts vanilla and oak flavors, even a little bit of smokiness. And the best part? 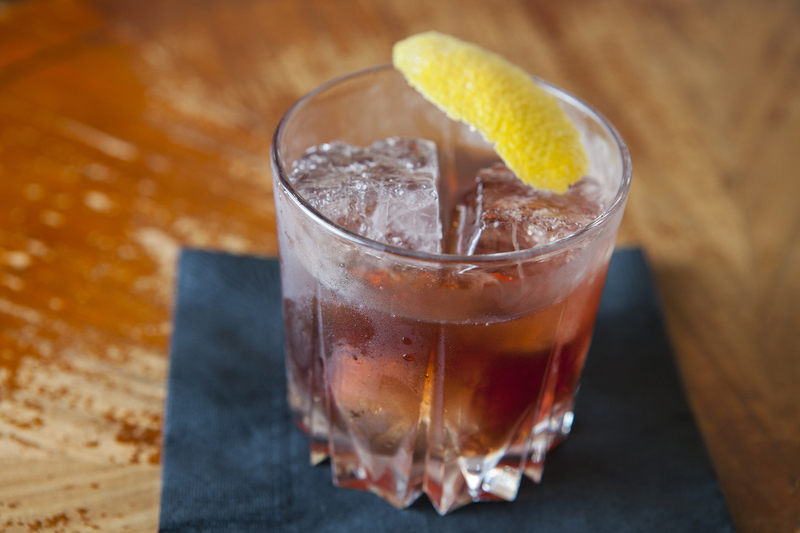 The Vieux Carré is available during Sassafras’ daily happy hour (5-8pm) for just $8. 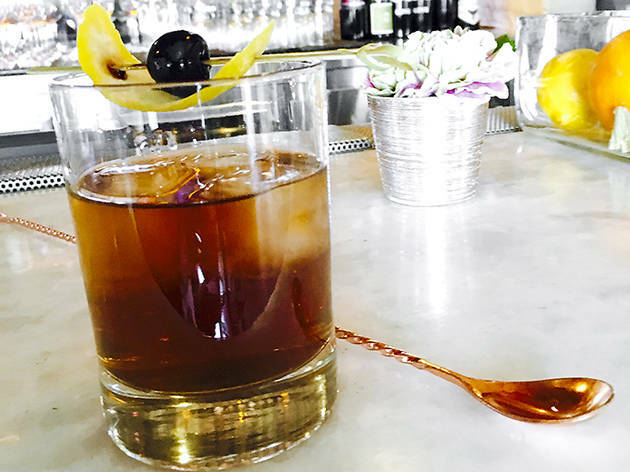 The Vieux Carré is barman Chris Amirault’s favorite aromatic cocktail of all time, so you can bet he makes a mean one. 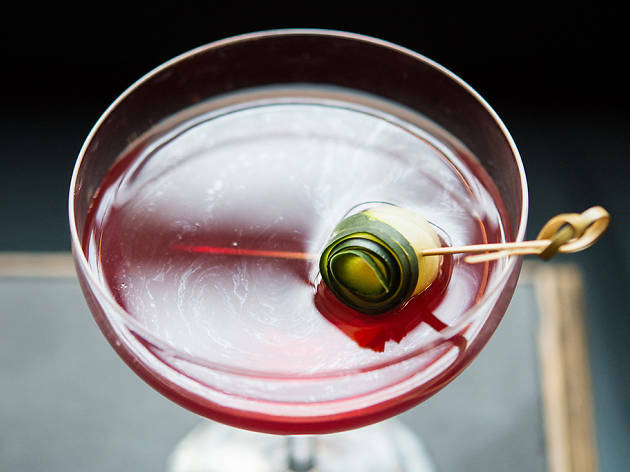 His version at the Fiscal Agent uses an upscale dessert wine called Barolo Chinato instead of the usual Italian vermouth, and three-quarters instead of one whole ounce, “because we think we’re fancy,” Amirault says with a lusty laugh. 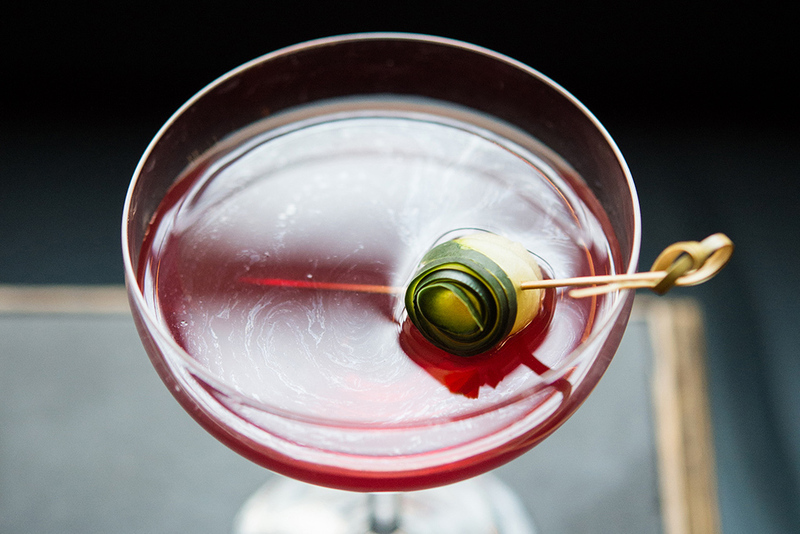 Barolo Chinato, with its notes of cranberry and cherry, gives the cocktail more character, plus a ruby-red hue. 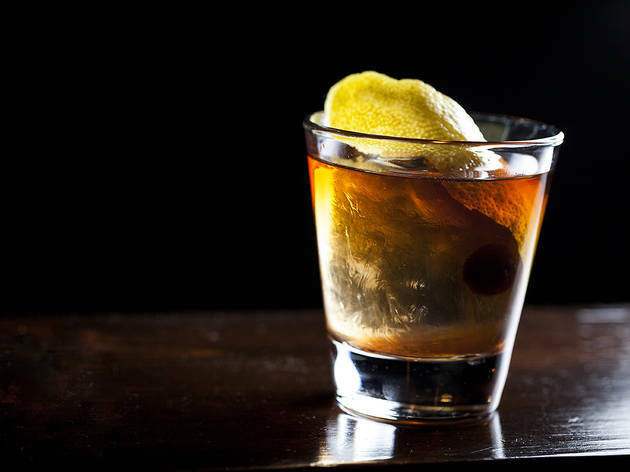 The drink is served in a hefty old-fashioned glass over a beautiful ice sphere. 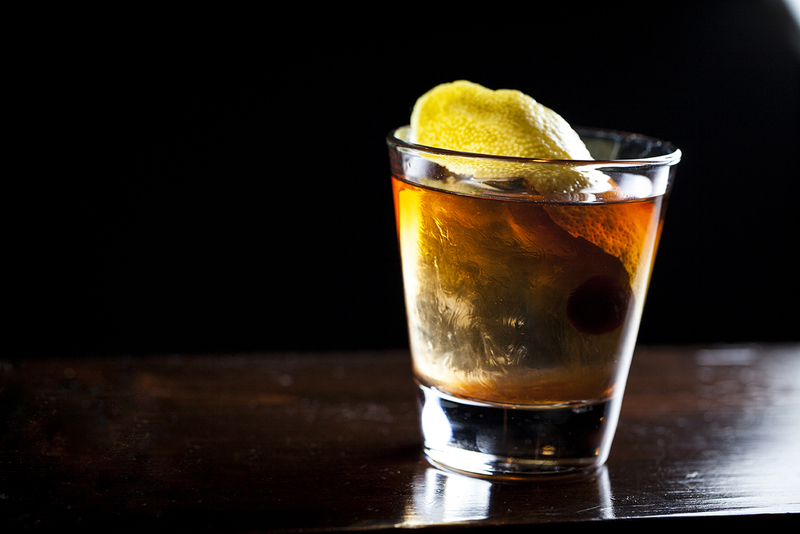 You’ll usually find either lemon or orange oils in a traditional Vieux Carré; Amirault opts for a swirled orange peel. Word of warning: This is one kick-in-the-mouth kind of swill. Live jazz plays over the sound of a trickling fountain in the middle of a charming colonial courtyard dappled with chandelier light. Between the totally convincing Nawlins setting and Cajun fare by a Mississippi-born chef, it’s easy to forget where you are here—which, by the way, is inside the basement of Downtown's century-old Alexandria Hotel. But if you really want to pretend like you’ve just jetted off to Mardi Gras, order their viscous Vieux Carré. Made with JP Wiser’s rye instead of the usual Rittenhouse, the Little Easy version leans more bittersweet than others, but still oh-so boozy. Plant yourself on one of those Victorian sofas and prepare to stay for a while. There’s something so right about Vietnamese food and a Vieux Carré cocktail. Maybe it’s how well the fragrant concoction balances those spicy-savory dishes? In any case, the District by Hannah An makes a really fantastic version of the drink. While it’s nowhere to be found on the short cocktail list, GM Victor Cardet-Luque says any bartender will know how to make one. 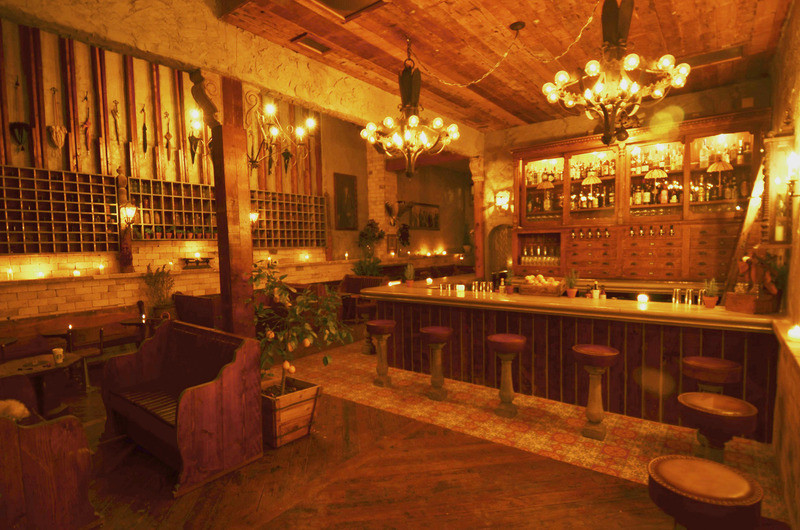 The District’s version forgoes the Peychaud’s and Angostura for Scrappy’s aromatic and grapefruit bitters, which imparts a floral character on the drink. Combined with a palate of cinnamon, ginger and caramel from the Sazerac Rye, this is a very balanced drink worthy of sipping on its own, or alongside an order of those amazing chicken egg rolls. Because why not? The Vieux Carré is as definitively New Orleans as gumbo and crawfish.